 Dear Psychic Junkies, I will attempt to give you my resume' of Indigo experiences old and new! In early 2008, after Googling "Indigo and Crystal", I was presented with a great wealth of information on the subject! It was all very exciting, since I had always been interested in spirituality, religion, science-fiction, the paranormal and occult. Yet when I dug a little deeper I started looking for Indigo adults, and surprise....I was thrilled to discover much on this topic, proving that there are indeed many of us out there, (including First-Wave or "Alpha" Wave Indigos), born in the 30's-1960's! It's this group to which I belong, (being 49 at the time), and now aged 51 I want to align myself with my true pathway in life in ways that can really make a difference! It is this group as well that need counseling and support, since we have been out there and alone for the longest time. But having said that I know younger Indigos also have been born into deeply abusive and horrible situations! (As are two lovely young women I know of who were born in the mid-to-late 70's). I feel like I have always known in some sense of my last previous incarnation on earth, often through bad dreams and frightening reminders and similarities as a young child! I could never sleep with the light off as a toddler and would scream if anyone tried to turn it off! During more recent years, (my 20's in the mid-1980's), I became more aware of the source of my nightmares as Born Again Christian ladies prayed with me, held prayer groups and one in particular counseled me and prayed with me in my own home. She is - I believe an Indigo but in denial, as her Christianity proclaims that Spiritualism is "devil's work", or some such prejudice!  But in 2005, after winning a Regression therapy session with a well-known UK psychic magazine, I later learned that I was on the right track with this previous life thing and that my instincts were on cue! Aged 9-and-a-half whilst undergoing an early life-transforming experience, and worried as hell, mainly due to my mother's scare-mongering pessimism, I was treated to what I'd lovingly call a "God Moment"! It started on a Summer's holiday break with my Nan when I was away from the hustle and bustle of everyday life. I had this vision of a more beautiful world and of humanity in general transforming itself and fine-tuning. It was really too amazing to aptly put into words! Of course, I was a little disappointed when I grew up and discovered that this wasn't meant for the immediate future, but some way off. (Perhaps 2012 and beyond, more than likely?). This got me through quite an otherwise bleak childhood I feel! I realized that I was interested in Spiritualism and the super-natural from 11 yrs of age, when our teacher started to talk about this subject, and I became enthralled! At age 11, (October 1969 to be exact), I began regularly seeing this dark figure, or entity (that I never did really discover the origin of), though not through want of trying! My brother too could see this, and he gasped when we saw it's hand switch off the light one night! I had seen this before incidentally. This entity kept up his nightly appearances almost unbroken until early 1978 when I met my boyfriend (now husband), then it disappeared off the scene! I joined my local Spiritualist Center in 1999, and it was wonderful! I've had loads of healing from them, as life's been very tough in general and emotionally I've suffered a lot too. I've worked with crystals and I discovered by chance (after someone nominated me), from my SNU, that I had a gift, particularly with my third eye being aware! During a crystal workshop I experienced another wonderful vision, which seemed to link the past, present and future together, and my Nan and Grandad, (passed to spirit) - seemed to be there with me at the time! This really made my mind up in a positive way! In the last couple of years I had the good fortune to meet a wonderful lady at a college I was attending who was known as the "White Witch of Paddington"! An amazing empath and lightworker, this lady - RW was also a 7th daughter of a 7th daughter born on Halloween! Sadly, this lovely lady who became my confidant, died and passed to spirit, (disgracefully due to a hospital bug), that I'm still angry about! She passed in August 2006, but I know she's been back to visit me and my family! During a family short break, whilst I prayed and meditated in silence on a secluded beach in Kent, I prayed for proof that my friend was alright and still around. Well I felt a wonderful presence and lovely sense of something comforting surrounding me! (The photographic proof of this I received on developing that film on 2-12-06, showing a bright shaft of light in the picture). On my return to the caravan, we noticed a white feather had blown in through the window of my son's room. And as if to provide further evidence, that this was all of us, another white feather blew into through the entrance door of the seating area as we were about to leave the next morning! So yes...I do believe in miracles! I just found out with the special reading that I am first wave indigo. And I want to find out my mission. I am trying to get some insight because with the reading I am a healer and I don’t know where to start. I’m told I need this special rock that is impossible to find Aurauralite / Aulmauracite - the magical mystical stone of truth and justice. When I go into deep thought and close my eyes I see objects; pyramids, angels and lots of different colors. Is chakra the answer? Lets get together! I am from the first wave of Indigo's 1956!!!!! I was born and still don't know who my father is. I'm almost 60 now. I have had experiences since I was a teen. Probably when I was a kid but didn't pay any attention to them. I have seen people of all ages , children, boys and girls, men and women. Young and old alike. I have seen an orb once that floated with an intelligence of it's own. it was golden like the sun. I have heard voices speak to me right next to my head, with no one there. I have heard voices many times in various locations. Heard loud crashes In the next room repeatedly like being played from a recorder. I had one instance when meditating where I saw a sphere come floating down to a circular disk-like area in the middle of a room that was very dark but lite from up above some how. It was like, marble size it was very pretty and silvery blue. There were beings standing in a circle around it holding hands. I was seeing it from behind them. I know when people are talking about me. I know when people pass away. I know who is calling before I answer the phone. I love deeply. I love all. I cannot tolerate hate of any kind. I care for anything injured or sick. I will take in any animal that needs help. I love water and the ocean and plants and things that grow and the earth and all that she means to us. We are fearfully and wonderfully made the creators of us took as much care as they could when they made us what we are. We can thank them for that. We have been given so much from them. If it were not for them we would not be what we are today. Much of our DNA is still sleeping I believe...But will be awakened one day when they return for us. I just want to talk with others that call themselves Indigo's and see if maybe this is what I am .......I don't know....Peace. I am the first 'crop' of indigos. I always knew I was different, was treated as such and had always felt like I didn’t belong here. School years were VERY hard; I was always the strange one to others and could never fit in well. Also, my own family seemed outside of me. I had premonitions as a child and still do as an adult. Now I also do readings and discovered I am a medium. Most of all, I am very sensitive. Sensitive to any kind of harshness, if seen on TV, movies or while out somewhere I can have an uncomfortable grabbing feeling within my chest when someone is harsh to another. I want so much to help others know who THEY are and are capable of doing. I now work on that through a group I created and am involved with. I find such passion and enjoyment through that. At the age of 61 I have finally reconciled myself to the fact that I am different and that is okay, and in fact, that is a good thing. It took a long time and a lot of struggle to get to that place however. Since my spiritual journey I began three years ago (left behind 25 years of Christian doctrine! ), I have been able to cope with who I am much better and in fact am learning how to utilize my abilities along with discovering the best within me that enables me to do my passion in life.. helping others on their spiritual path. Now I am grateful for Who I am and can say life is just exactly as it is supposed to be! :>) All is well. My name is Mariko, pronounced Ma d co. I am a first wave Indigo although I believe indigos have been around since the first council on Earth. I'd like to share with you some of the things I've learned about being Indigo. Indigo people are like psychic sponges, absorbing their environment. This dramatically reduces the frequency range to which Indigoes are capable, as we are multi-dimensional. The need for shielding and transmutation are quite dramatic. Shielding and transmutation are as necessary as breathing. This is not my opinion, but my experience. Due to a traumatic childhood, I've also seen a need for "Soul Retrieval". Though due to the multi-dimensional capabilities of Indigo this can occur organically and simultaneously with the raising of one's frequency thru transmutation. There is a strong "Loner" aspect to being Indigo. This is due to the frequency variance. However, it is crucial to work with "Councils". Particularly key is the "Galactic Federation" and Archangel Michael as well as Ashtar Command. The necessity for ongoing protection particularly with respect to proceeding with one's "mission". I've noticed 3 responses to being Indigo. One is to retreat and hide from the world. Two is to become saturated with the world's negativity and become disabled. And three to move forward as we versus I. To get to my point in writing this. For 6 years I sought the isolation of the Arizona desert. I really needed the time to be away from other energies. I had worked as a breath therapist for over 20 years. And the work took its toll on me. In the Desert, I started to hear my guides moving me toward a new/old energetic system. For 6 years, I experimented with these techniques of Indigo Transmutation. This system has a different paradigm. There is no pulling in the light from the Crown or rooting to the earth. We are not from this third dimension and attempting to assimilate to the energetics here seems futile at best. So My guides directed me to the Cosmic Heart which is different from the heart chakra. And to Ground-Up. I've since been directed to come back East to promote and spread this system. If you would like to sponsor this workshop in your area great! I believe as Indigos, we have many gifts to share with the world. I understand firsthand the hardships associated with being Indigo. However, together we can make a difference.